Dallas isn’t known for its appeal to winos, but if you take a closer look at our landscape with art museums, beautiful architecture, and boutique shopping, it’s clear that we appreciate the finer things in life. So, fellow Dallasites, go into that room filled with many leather-bound books, grab your smoking jacket, and pay a visit to the 10 finest wine bars in our great city. The more that State and Thomas grows, the less frequently the residents of State and Thomas actually have to leave their enclave. While this hub of young, well-to-do professionals in Uptown has everything from loud sports bars to upscale fine dining, The Alcove offers something that neither one of those places do: a calm, relaxing and casual spot to grab a coffee in the morning or try a new vino at night. Despite being located in the epicenter of Uptown, the neighborhood feel means that it may be the only Uptown wine bar in which you wouldn’t totally stick out if you wore your pajamas. 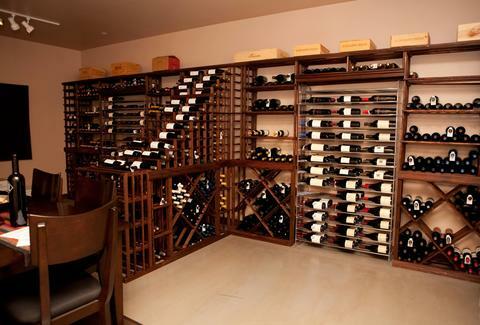 Of course Uptown houses one of the finest wine bars around. Playing to both newbies and aficionados alike, Cork has a Jetsons-style touch-screen system to order your wine -- and best of all -- Cork allows you to do 1oz samples prior to ordering a glass or bottle. There are 48 different wines that vary each month and the bar offers reserve wines that other places wouldn’t dare allow to be poured by the glass. The menu also has assorted cheese and chocolate and a $5-per-glass happy hour. What’s the saying... location, location, location? Ascension’s centralized location in the Design District makes it ideal for downtown office dwellers, Uptown residents, Medical District professionals or, well really anyone who likes wine. 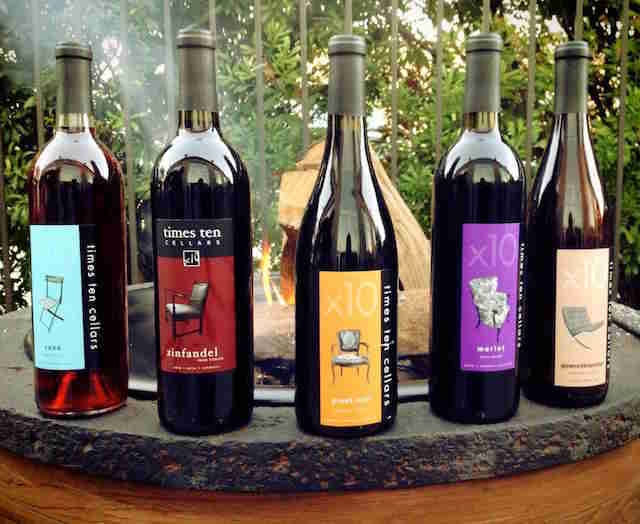 Originally known for their coffee (which is definitely something you should try while you are there), Ascension has expanded their wine offerings to include everything from affordable, crisp whites to hard to find, complex red blends. Bonus: it’s totally dog friendly so bring Fido and post up on the patio and let the wine flow. They’ll even bring water for your furry companions. 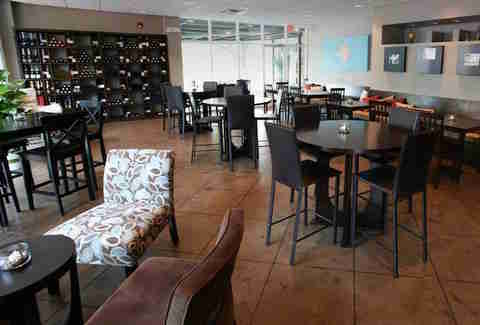 Veritas has a laid-back atmosphere, 350+ bottles of wine, 20+ wines by the glass, and packed beer and charcuterie menus. Its meats and cheeses are sourced right here in Texas, but if you’re not a meats and cheeses kind of person, you're welcome to bring in sushi from next-door neighbor Sushi Axiom. Like any good wine bar, it encourages you to booze on Monday, offering half-off glasses all day. Times Ten has the feel of an extremely upscale place, but is still homey with big comfortable chairs and rustic wood tables. It offers three different flights that rotate, along with bottles and glasses, and it's also a winery that sells its own vino, so you can get it straight from the source. It's well known for its cheese plates, but it's even more popular on its Wednesday pizza nights, when pizzerias around town sell pies to those hanging out at the winery. One of the more swanky spots in town, St. Martin’s will definitely dazzle you with its culinary chops and romantic setting. Its Champagne Brie Soup is kind of legendary and its wine list is very extensive -- it's even got some sub-$10 glasses on the list, which is nice surprise for a place of this caliber. When a bar’s slogan is “Fried chicken and Champagne?...Why the hell not? 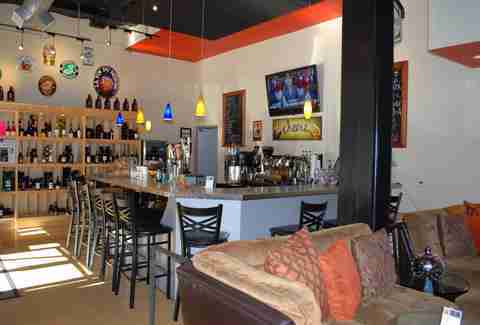 !,” you’re most likely in good hands here, especially if a hoity toity wine bar isn’t your scene. 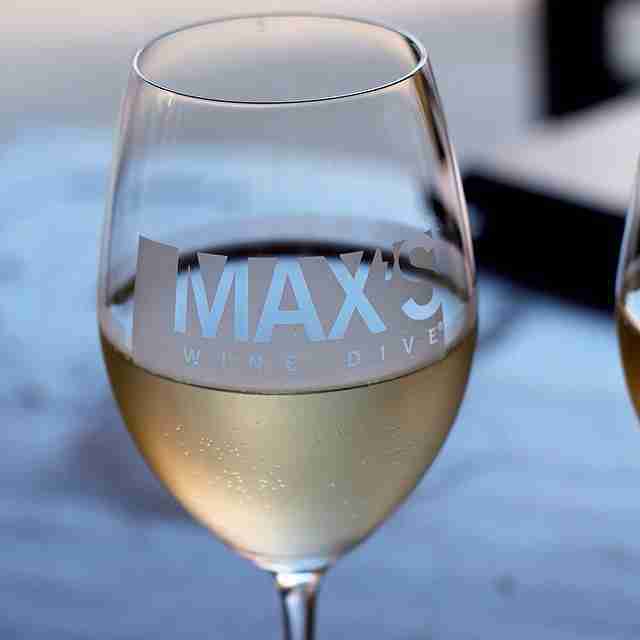 It has $5 glasses during its weekly happy hour and also does 50% off select glasses as well. So, if you’d rather have fried chicken with your half-priced wine instead of fois gras, this is the place for you. Urban Vines is a laid-back spot in Lakewood with a killer patio that is fireplace-equipped and dog-friendly. 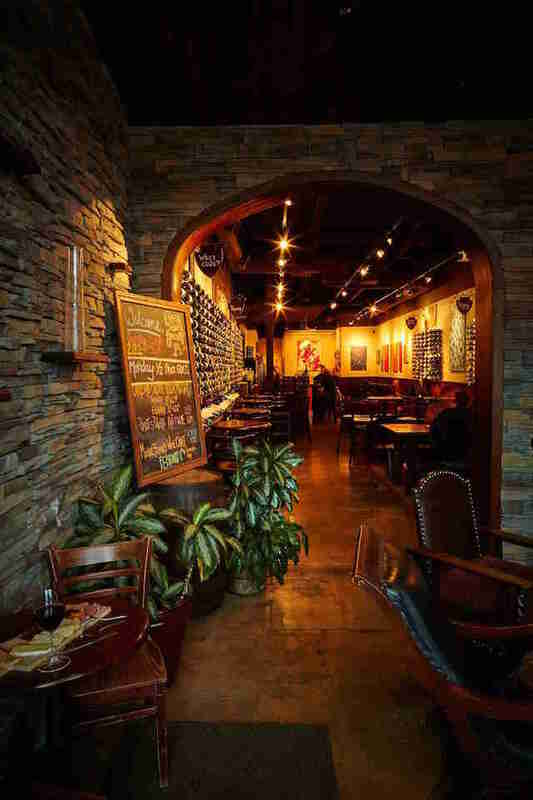 The family-run bistro houses a great wine selection, knowledgeable staff, and entrees like the braised chicken and drunken goat cheese panini. You didn’t think that we were going to talk about hoity toity things like wine without mentioning some place in Bishop Arts District, did you? Don’t be silly! 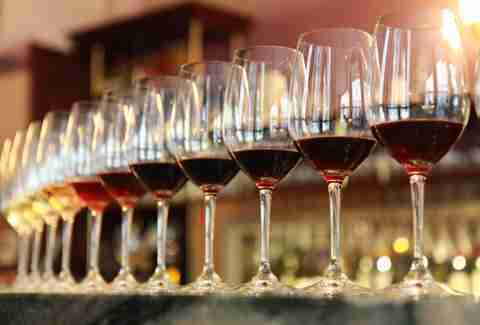 Wine Poste is a curated collection of wines with tastings, pairings and wine education classes scheduled regularly. They also offer gift baskets with locally sourced products paired with the perfect complimentary wine. Owner and wine obsessive Matthew Thompson can guide you toward the pinot, rose or cava that your little tipsy heart desires. Stoney’s has a tight food menu, an impressive wine list, and jazz. Not just any jazz either -- the owners are both professional jazz musicians and they bring in some of the best Ron Burgundy-caliber musicians in the city. 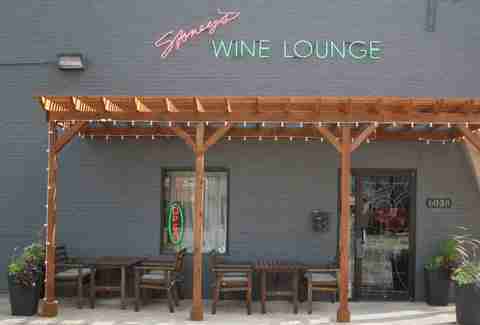 If you want an amazing time sipping amazing wine, with an amazing staff and owners, while listening to some of the best jazz in Dallas, this is your place. Jason Moore is Dallas writer. You can follow his musings @iamcalledjason.